"Now my motto in life," said the school chaplain, "is work hard, play hard and pray hard. How about you, Harriet?" "My motto is let bygones be bygones." "That's good. Why did you choose that?" 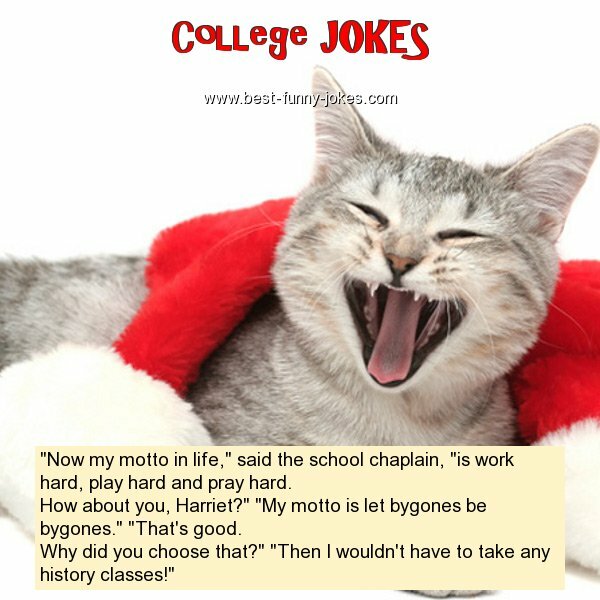 "Then I wouldn't have to take any history classes!"